I’ve Got Some Hutch Mates! 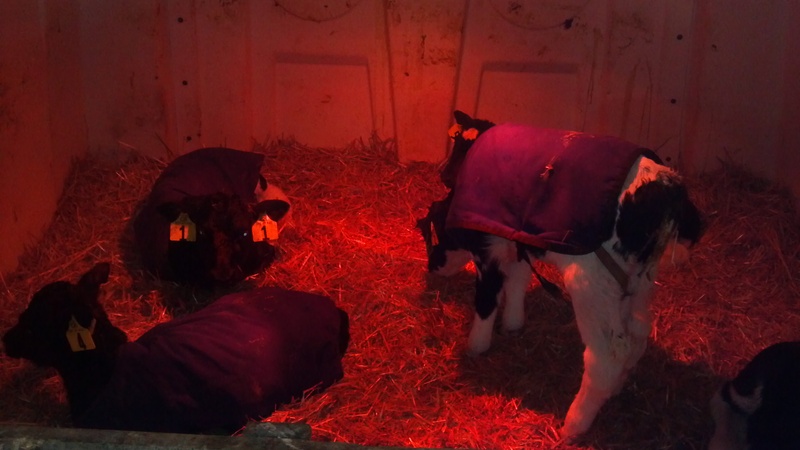 Just like that, I got 4 hutch mates over the weekend, up to heifer #5 over the weekend! I’m sure tomorrow someone will find time to move me to an outside hutch, I’ve got this drinking out of the bucket thing figured out! I also need a name. Someone should come up with a good name for me and put it in the comments! This entry was posted in Animals, Calf #1 and tagged agriculture, Animals, baby animals, calf #1, cows, dairy cows, dairy farm, dairy farming, dairy farming today, factory farming, family farm, family farming, farm, farm animals, farmer, farmers, farming, food production, Modern Agricuture, modern farming, organic farming, production agriculture, sustainable agriculture, sustainable agricuture, Wisconsin dairy farming. Bookmark the permalink.